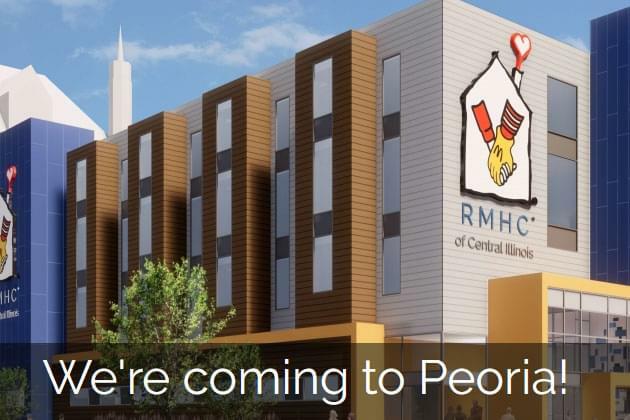 The Ronald McDonald House is being built in Peoria, and you can be apart of building the newest edition to downtown Peoria! Help us pave the way for the new Ronald McDonald House by purchasing a brick to be used at the entrance of the new Peoria House… and provide children and families in need a Pathway to Hope! Peoria’s reputation for highly specialized and effective pediatric care is a source of pride for our region. As the reputation of the Peoria downtown medical district grows, so does the need for the programs and services Ronald McDonald House offers. We have experienced ground-breaking support thus far toward our overall goal of our over 7 million-dollar goal. However, the operating expense of the new Peoria House will be an ongoing fundraising need of approximately $1,000,000 each year. Read more about getting involved and being a part of the Ronald McDonald House in Peoria! There will even be a fun golf outing in Springfield June 10th! For all the different ways to help the Ronald McDonald house, click here!